The last show to take place at Gretta's space in King’s Cross, is a self-referential extravaganza about the artist career. The series Wedding Pictures captures the flow of ‘real time’, reviewing the photo album of Gretta’s first wedding. Each page is transformed into digital format, assembled into pairs so as to create a single image. Using image manipulation to alter the private and public perception of the self, these pieces act as a mirror in which Gretta’s projection of herself creates an optical illusion of reality. Evoking joy and frivolity, a paradox remains ever-present as death is transposed with images of the artist’s youth. 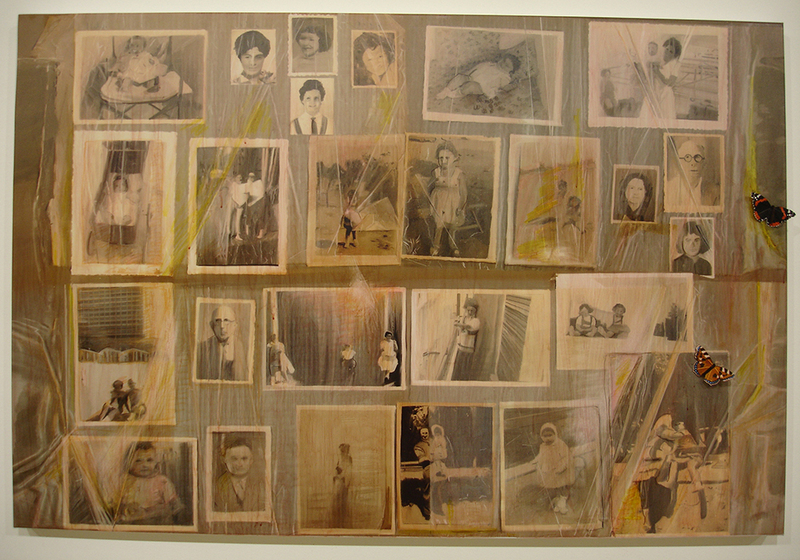 Familia Memorabilis presents several snap-shots that preserve specific moments of the artist’s personal life. Revealing the instability of photographic reality – which immortalizes lived experience – works reveal a paradigm shift between past and present. Aesthetically poignant, they investigate the mind as archive, simultaneously unsettling the viewer whilst giving them glimpses of moments that otherwise remain private. Continuing with images of the artist, Ira Schneider's film Video of Gretta Painting 1988/2013 will also be exhibited.